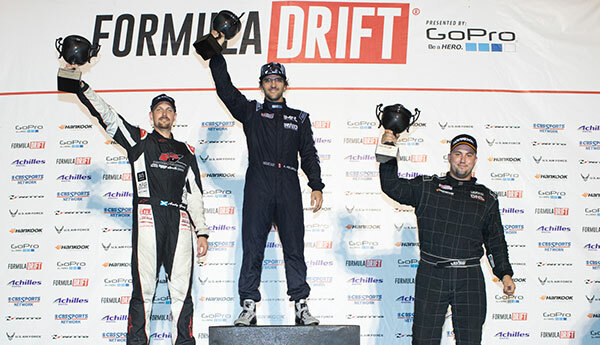 Long Beach, Calif. – June 3, 2016 – Formula DRIFT PRO 2 returned to the Orlando Speed World for the second round of the the PRO 2 championship. 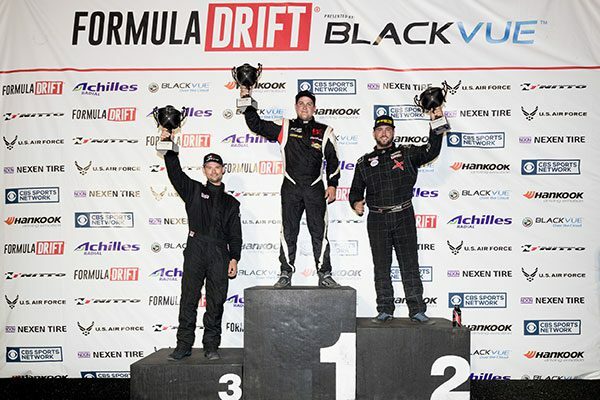 Marc Landreville in the Perry Performance Nissan S14 takes the victory and the lead in the standings. Round 2 of the PRO 2 Championship delivered an entertaining evening of competition for the Florida fans. In the semi-finals, Matt Madrigali in his Nissan 240 went head to head with Jeff Jones in the Nexen Tire / DOC Racing Nissan 240. Jones outdrove his opponent to reach the finals. Number one qualifier, Marc Landreville, in the Perry Performance Nissan 240 faced off against Andrew Lewis in his Nissan 240. The battle was close, but Landreville was able to advance to the finals against Jones for the second consecutive event. This time Landreville was able to edge out Jones to take the top spot and move into the lead in PRO 2. “I feel great to get first place so we are really happy,” said Marc Landreville, winner of Round 2 of the PRO 2 Championship. The 2016 Formula DRIFT PRO 2 Championship will continue to Round 3 on September 9-10. For more information visit,www.formulad.com and find Formula DRIFT on Instagram @formulad, Facebookwww.facebook.com/formuladrift, Twitter @FormulaD, and snapchat formula_drift. Tune into Formula DRIFT on CBS Sports and check your local listings for airtimes. 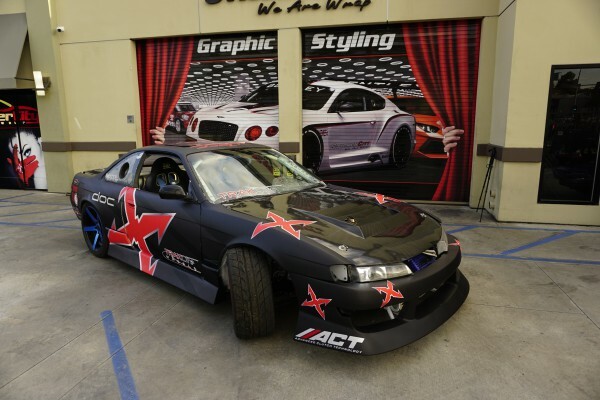 Long Beach, Calif. – May 7, 2016 – Formula DRIFT PRO 2 entered Road Atlanta for the first round of the PRO 2 championship. 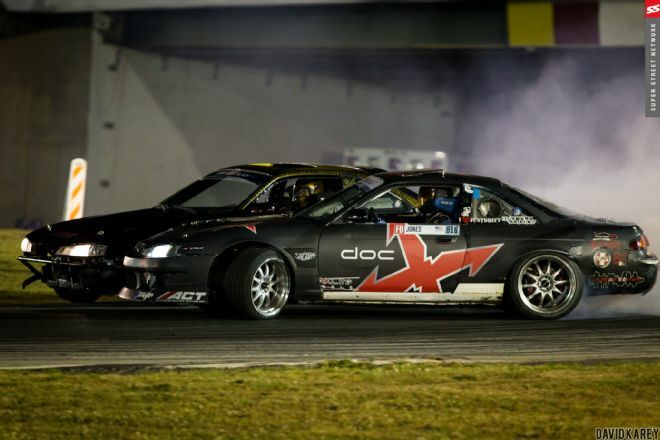 Jeff Jones in the DOC Nissan S14 takes the victory and the lead in the standings. The inaugural event for PRO 2 at Road Atlanta kicked off the PRO 2 championship season. 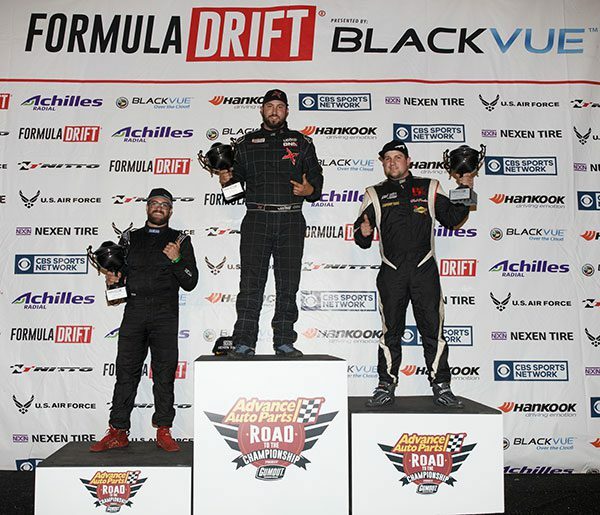 The course proved to be challenging and for many of the PRO 2 drivers as it was their first time drifting at Road Atlanta. The top four qualifiers coincidentally also ended in the Top 4 of the competition. In the semi-finals, Ryan Litteral in the Ryan Litteral Racing Nissan S14 went head to head with Jeff Jones in one of the best battles of the evening. Litteral made contact with Jones, which ultimately gave Jones the win placing him in the Finals. Number one qualifier, Marc Landreville, in the Perry Performance Nissan S14 faced off against Dan Burkett in the RAD Dan Toyota Supra in unique circumstances due to a collision on course with fault given to Burkett. Landerville was given the win into the Finals, but with his car being unrepairable he was unable to continue in competition giving Jones the victory. The 2016 Formula DRIFT Pro Championship will continue to Round 3: Uncharted Territory on June 3-4 at Orlando Speedworld. For more information visit,www.formulad.com and find Formula DRIFT on Instagram @formulad, Facebookwww.facebook.com/formuladrift, Twitter @FormulaD, and snapchat formula_drift. Tune into Formula DRIFT on CBS Sports and check your local listings for airtimes.